Take your unwanted computer and components—any brand, in any condition—to your local Goodwill donation center. Your donation will help create jobs, build independence and protect the environment, along with its tax deductible value! As a residential computer user, you can recycle computer equipment for free because Dell absorbs the cost of the take-back program. Dell’s stringent environmental standards prevent dumping of electronic waste in developing countries. 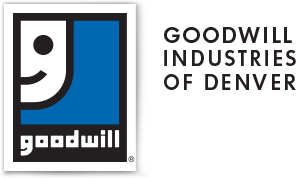 Goodwill is audited by Dell to ensure computer equipment is handled in the most sustainable way possible. Dell’s environmental standards exceed the internationally accepted e-Stewards and R2 programs. 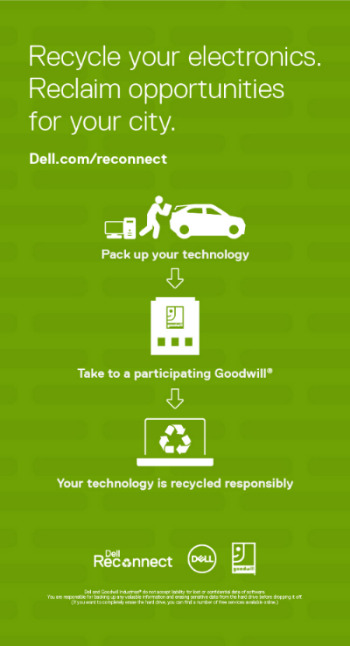 Click here to learn more about Dell Reconnect™, an environmental partnership between Dell and Goodwill.